I was in Crewe this weekend to present a talk on Free Will Teaching at Rixton Dog School in Warrington. We started with looking at what free will teaching is and it’s four stages – Subliminal, Shaping, Active, Partnership, then moving on to the basics of FWT techniques to teach our animals. When we can teach understanding and awareness, we can then teach our animals real choice and decision making about how they manage themselves in daily life, what activities they do, and also to know how to regulate their emotional minds, and when to rest and relax to keep their minds and bodies healthy and strong. There are so many misconceptions and myths about how much dogs and horses can learn, that teaching is often kept at a basic level, when in fact they can learn so much more. I have worked like this for years and my own, and clients, dogs and horses show the amazing achievements that can be reached by teaching without preconceived limitations. The day finished with some lively and interesting discussions about applying FWT to problems and to further teach the companions we live with. Everyone attending was really welcoming, supportive and interested in how I work, it was a real pleasure to teach and engage people to show what heights our companion animals can reach when we allow them to reach their full potential. I’m doing another free will teaching workshop in Wimborne in April, with more dates added later in the year. Please do get in touch if you’d like me to put one on in your area. Assuming you are in complete control of another being, animal or human, is a false perception which can lead to errors in judgement and raises significant safety issues. Firstly, we can only control another beings movements, not his mind. We may think we control his mind, when we exert our will over him and make him do what we want, but we cannot control his thoughts or emotions, which is of major importance when learning, and if we are to stay safe. For example, you want your animal to learn to do as you ask. Humans tend to keep trying if something doesn’t work, so from our point of view, this may mean one of the following things. Continuing until you do get the result you were after. Not worry about how you get that result, just that you get it; the end justifies the means. You can easily see that from our perspective, being successful means you have achieved what you set out to do. But what about the animal you are teaching? Were they successful? If they did what you wanted, then yes, you could argue that they were also successful. However, that is not necessarily the case. In order to be successful you have to see things from the animal’s perspective, not yours. Have you left the animal better off than before you interacted with him? If you’ve continued a lesson far longer than was productive, so that you could finish on a high, you feel satisfied, and might sigh with relief that you have persevered and it was worth the effort. However, the animal may well have a different view. Is he likely to feel relief from finally doing what was asked? Or is he likely to feel relief for the fact that it has finished and there are no further demands on him? Similarly, what will the animal take from a lesson that is conducted from the viewpoint of the end justifies the means? Again, you will feel relief that finally the animal has understood you and done what he was supposed to. And once again, the animal will feel relief that the interaction is over. By trying to make ourselves successful we have made the animal we are working with unsuccessful, as what he has learnt from engaging in the encounter is not a positive or rewarding experience. Will he be willing to engage next time? Not likely, and certainly not with enthusiasm. He may also have learnt that avoidance or active defence is his best course of action to ensure he is not put in this situation again. Coming back to the title of this piece – a matter of perspective – teach yourself to analyse everything you intend to do from the animal’s perspective, and you will set yourself and him up for fun, engaging teaching sessions that result in success for both of you. The animals we work and live with do not know the dangers of our human world, yet we often expect them to behave as if they are fully aware of such things. We expect them to give us an appropriate behaviour for the circumstances they find themselves in, often without thought for the fact that animals are a different species and so will have different instincts and behaviour to those we want them to express. A human behaviour trait is to try harder if the first time we ask doesn’t work. You ask your dog or horse to do something, and they don’t comply with your request. One of the first instinctual responses you have is irritation, and so repeat your request in a stronger manner. Our first choice is often to apply more pressure, in the form of force and coercion. It’s all downhill from there, as you employ increasing pressure to make the other party do what you want. Again, a human trait, that you must not back down, you must show strength or you will be considered weak, and whoever you were trying to tell what to do will then be in charge of you. This piece of advice is often given to horse and dog owners, with the label of dominance. However, dominance is a human concept, inappropriately applied to how we interact with animals. The best piece of advice to give to people regarding this, is to forget you heard it, stop thinking you must do what someone else says you should, and instead, start using common sense and genuine care for the animals you are with. 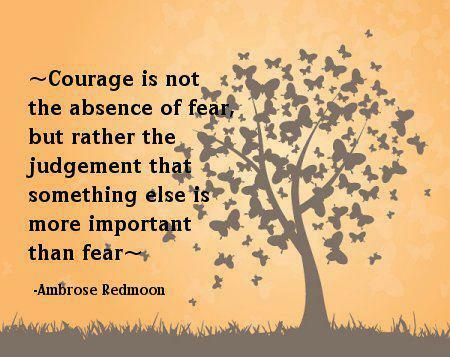 You do not need to make your animal feel scared or unhappy. You do not need to follow rank reduction programmes, or dominance theory. You do not need to continue until the animal does what you want. You do not need to listen to advice that you should not let your animal get away with anything, they must obey at all times. You do not need to listen to advice that you should withhold love, affection and comforts as your animal will come to expect them, and think he is in charge. Some of my clients actually sigh with relief when I tell them this. It is said that doing everything before your dog will show him you are dominant and the alpha. You must eat first, go through doors first, etc. IT WILL NOT. Your dog will just get hungrier whilst you eat, usually resulting in attempts to secure some of your food! Your dog does not understand that whoever goes through a door first is considered to be the most important – he just wants to get out in the garden. That continuing to force your horse until he gives a behaviour will show him you are in charge and dominant. IT WILL NOT. Your horse will become increasingly anxious and learn that you are a source of pain, and to be avoided. If you don’t show him who is boss he will run rings round you. HE WILL NOT. Allowing an animal to do something different to what you have asked, or choose what he wants to do will lead to chaos. IT WILL NOT. A lack of teaching will lead to chaos, plain and simple. There is a better way, and that is teaching with positive methods, giving a choice, and using positive reinforcement for the best conditions for learning, improving confidence and self awareness. This in turn gives, safety, reliability, and contentment. When I am with animals, I am not the alpha, leader, or in charge. I am part of our group, whether that is me and my two horses, me and my dog, or another scenario. We each have strengths, preferences, things we enjoy, and whoever is best for the task at hand is the one the rest of the group is guided by. A true partnership is about giving all members of the group the ability and freedom to express themselves and choose what they do or don’t do, as long as everyone is kept safe. I am their teacher, helping them understand how to interpret this human world they live in. As they learn, I become their guide, suggesting a good course of action. As they become aware, they become my guide; I go along with their choice as long as it isn’t dangerous, or completely wrong for the situation we are in. As our relationship of trust, understanding, and awareness develops, we each contribute to what we do that day, and how we solve any difficulties along the way. 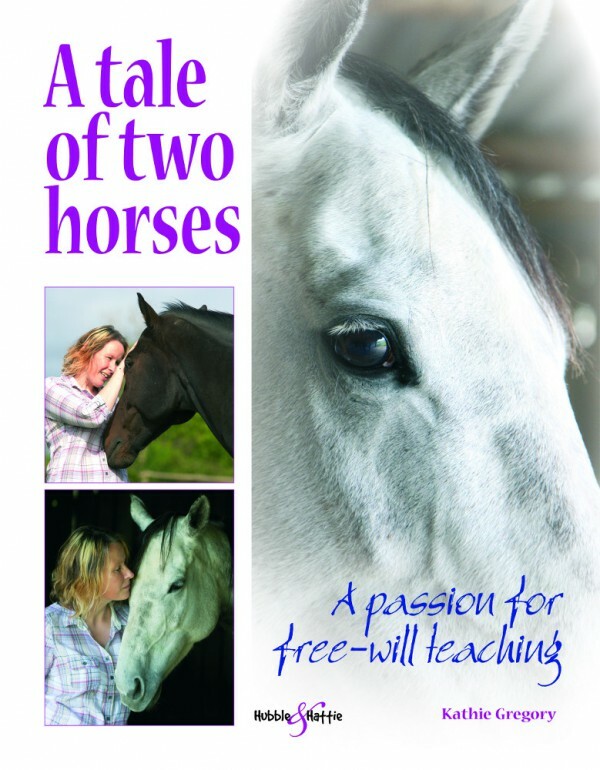 I’ve just received an advance copy of my book, A Tale of Two Horses. To see all those pages of plain type become this wonderful book is amazing. Huge thanks to Jude Brooks and the team at Hubble & Hattie for making this possible. It tells the story of my first year with my two Thoroughbred ex-racers as they make the transition from reactive horses with behavioural issues to content, well balanced horses. My teaching is force free both physically and psychologically, enabling free will and ensuring the emotional mind is content, showing the reader how to apply the same principles and methods. If you know anyone who may be interested in it, please let them know. Emotional Learning in the Performance Horse. Whatever activity you and your horse engage in, be it eventing through to showing your horse, you start at the start, and aim to progress in your chosen activity. Some horses show a real talent for the activity you do with them, and can progress very quickly up the ranks. Time is spent teaching yourself and your horse to improve and achieve more. These are two of the three essential elements to continuing to progress and realise your goals. The third is the one that is often forgotten, or not even known. And that is your horses psychological development. If he is gifted at what he does, he may well find that his abilities put him in situations that his emotional mind is not yet able to cope with. To avoid this, and help your horse be the best he can be, add sessions that develop the emotional mind. Give him different experiences so he gets used to the many different things he may be exposed to. Use some competitions as emotional development training, teaching him how to manage himself and cope with whatever novel things are in the arena/course, without pressure to perform. Finally, take emotional learning experiences at a pace he is comfortable with, and he will be reliable and confident wherever you go.